Judith Stein is a leading New York divorce mediator. The Stein Family & Mediation Center provides comprehensive divorce mediation and psychotherapy services to individuals, couples, and families in the greater New York area, with offices in Manhattan, Brooklyn, and Westchester. Judith has a unique, interdisciplinary background as a seasoned and compassionate holistic psychotherapist, divorce mediator, child specialist and divorce coach. As a holistic psychotherapist, Judith views and treats clients as whole people, integrating Psychodynamic, CBT, DBT, wellness, and Buddhist principles into a tailored holistic approach. Together, these approaches help clients understand and change how their thoughts and emotions impact their behavior, learn new ways to cope and manage life stress, and ultimately bring about the important and lasting life changes they seek in their lives. Specializations include eating disorders, depression and bipolar disorder, anxiety, and divorce. As a divorce mediator, child specialist, and divorce coach, Judith is committed to helping people avoid court and resolve their differences sensibly and compassionately. Judith is passionate about helping parents develop effective parenting plans that consider the children's best interests and minimize the negative effects of divorce and separation by fostering effective coparenting. I am an Ackerman-trained, holistic individual, couples, and family therapist specializing in divorce and divorce mediation, eating disorders, depression, bipolar disorder, and anxiety. I integrate Psychodynamic, Cognitive-behavioral (CBT), Dialectical-behavioral (DBT), Wellness, and Buddhist principles into a tailor-made therapeutic approach to help patients understand the unique connections between their thoughts, emotions, and behavior, as well as examine broader, underlying issues related to identity, values, and purpose. I am committed to helping separating and divorcing clients reach sensible agreements about living separate lives while protecting the children and important relationships through mediation, collaborative divorce, child specialist assistance, and divorce coaching. Divorce Mediation. As a divorce mediator, I create a safe, respectful environment that allows clients to speak freely and feel understood with compassion so that they can craft a sensible agreement cost-effectively that will work for both of them—and especially for the children. Collaborative Practice. As a member of the New York Association for Collaborative Practice, I provide support as a Child Specialist, Individual Coach, and Neutral Coach to clients who wish to have attorneys fully involved in the divorce process. Child Specialist. 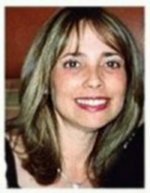 As a child specialist and former Adjunct Professor in Child Development, I guide separating parents in communicating and co-parenting more effectively in order to protect the children in divorce, particularly from the emotional impact of the transition. Because of my extensive background in Child Development, I am especially well equipped to help parents devise a sensible parenting plan that is tailored to the developmental and special needs of their children. Divorce Coach. As an individual coach, I help clients prepare for collaborative meetings emotionally so that they can hear one another and express their needs in a way that will be valued and heard. As a neutral coach for the team, I help clients prepare for collaborative meetings emotionally and also keep the process moving forward efficiently and respectfully, including diffusing difficult emotions that may arise during meetings. As a group, family, & elder mediator, I help groups of individuals and families amicably resolve difficult and often long-standing disputes in sibling relationships, parent-child relationships, decision-making for elders, and other arenas. I work hard to maintain the delicate balance of creating a safe, welcoming environment that allows all participants to be heard and understood, while at the same time ensuring that communication is productive and that emotional dynamics do not derail the mediation process. "Providing compassionate & skillful divorce mediation and protecting children from divorce in New York City and Westchester"
"Holistic individual, couples, family, and individual psychotherapy, specializing in eating disorders, depression, bipolar disorder, anxiety, and relationship issues."